Although not something I would normally choose as a dog lover I quite enjoyed these stories. It was perfect as my "bath book" a few short stories while you relax. Something you could pick up a week or two later and not need to remember what you read. It was a mix of funny and frightening but also easy enough to read to an older child maybe. It kept you interested in some stories and almost wondering what might happen next. 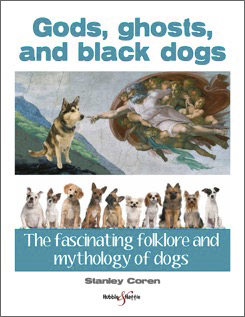 With some good history and dog facts it was fun and insightful. If you like short, easy to read stories and a love of dogs then this is ideal.